It's been a while, I know. I've been busy with work and some extra-curricular activities this past month. Life can really be draining at times. And also, a fresh new look for the blog was needed. I confess, I was getting a little bit bored of the previous one - and that added to a huge list of why I haven't been actively blogging the past weeks. Now, enough making excuses and let's get on with the food. After our seafood dinner at Sammach, we have been in search for a good (and aplenty) place to have seafood. 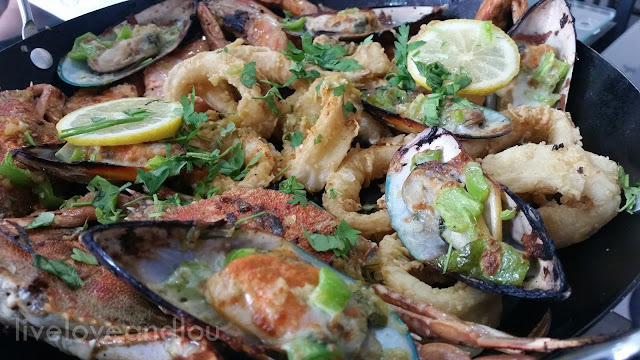 Good thing our friend found this little gem of fresh seafood hidden at the very center of Badriya Complex at Bin Mahmoud. Traffic in the area was quite an adventure because of too much road works around the area, but you can find ample parking space when you get to the complex itself. It's actually a very tiny space with a total of 6 tables good for 4 persons each, But I love the effort they put into decorating the interior. 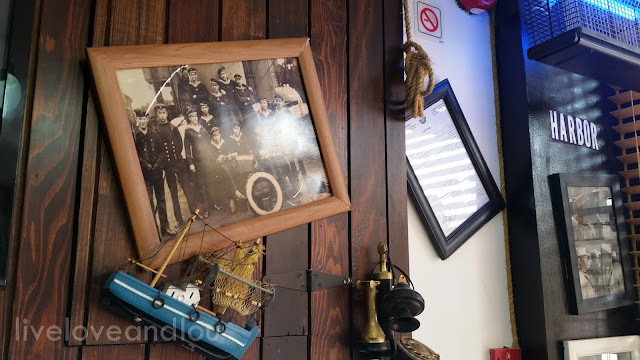 There is a very nautical feel once you enter the place. 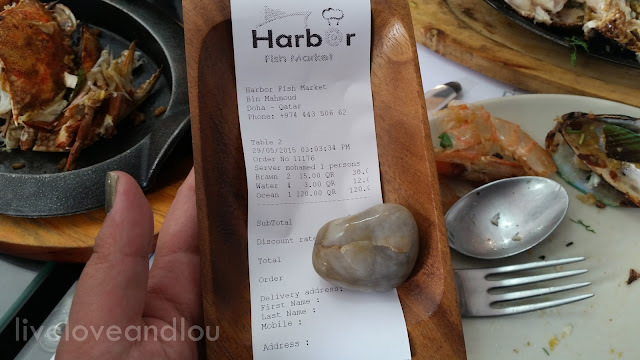 All their seafood are basically fresh catch, you can even choose and weigh your own fish and hand it to them for the cooking. 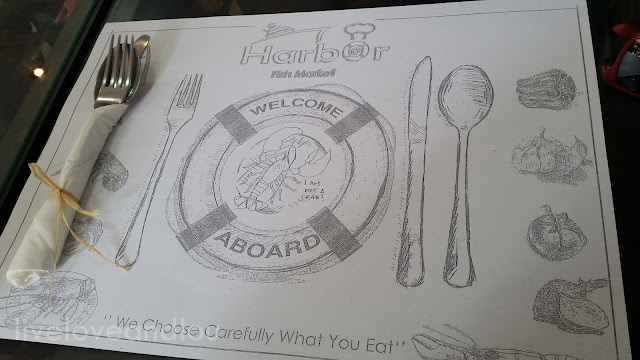 We ordered the Harbor Ocean Mix which was actually good for 3-4 people. It comes with one plate of Sayadia Rice (good for 2). 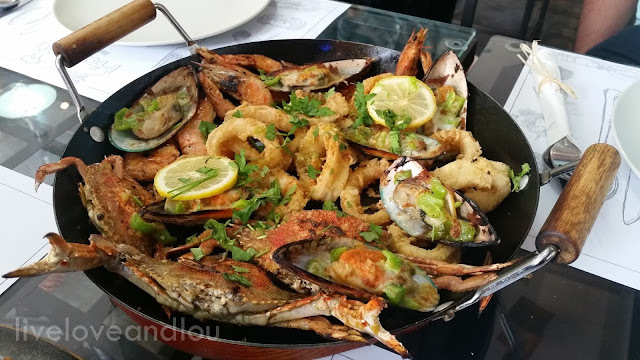 The Harbor Ocean Mix was served in a huge pan, made up of grilled shrimp, fried calamari, baked mussels, grilled crab and grilled fish (served in a separate hot plate.) It was definitely more than enough for 4 people. The whole table's favorite was the fried calamari. 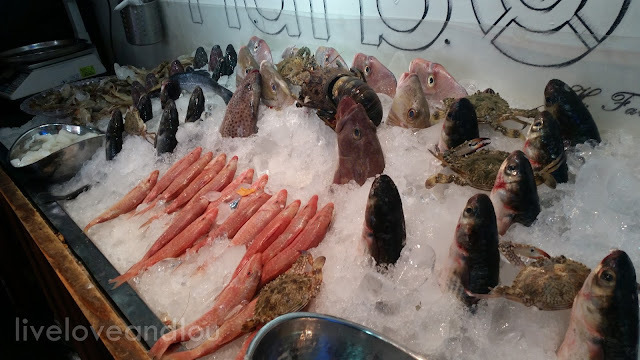 So if you're looking for an affordable place to get seafood in Doha, Harbor Fish Market is the place to go. 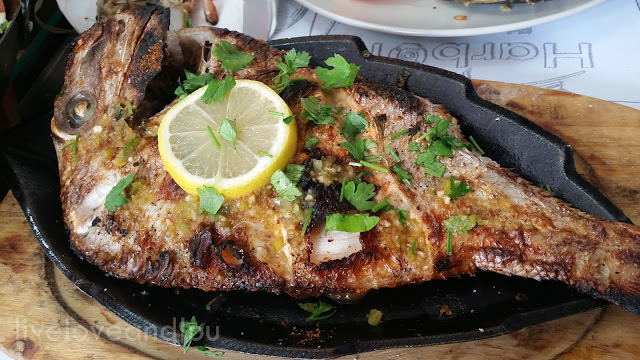 They serve fresh seafood that's cooked at the time you place your order. We are definitely going back there to try more from their menu. Dishes look amazing!! Thanks for the tip, adding to my "to try" list. Definitely worth trying, Ms. Hala! I love seafood, too bad I cannot go there. :) love the blog layout,simple, clean and easy on the eyes. Hello Mayen! Who doesn't love seafood, right? 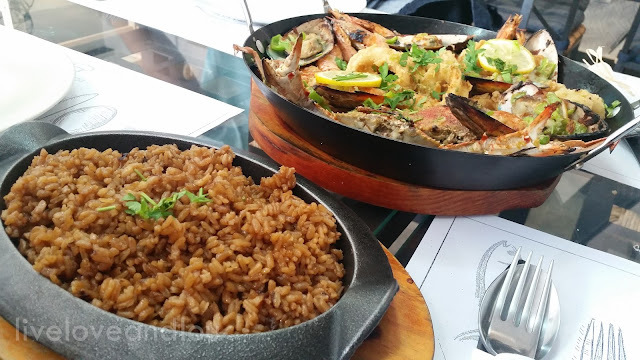 I'm sure there are more seafood restaurant in the Philippines that are way better than the ones here in Doha. It's a jaw dropping seafood platter. Yum! Wish I knew about this place while traveling to Doha before. Hi Arni! The place is kind of new (2015). Do drop by when you visit. Looks amazing! I'd love to find a great fish/seafood place like this here in Yangon. I'm sure there's a place like this there. Yes, 'twas really good. Nothing beats fresh seafood.